South Hills 12, Glendora 0 — Natalie Lugo was the winning pitcher, striking out 11 for the Huskies (16-7, 6-0) in a Palomares League game. La Puente 16, Bassett 0 — Freshman Desiree Huerta pitched a complete game and went 3 for 4 with a home run for the Warriors (8-8, 5-6) in a Miramonte League game. Gabrielino 19, Arroyo 3 — Christian LeRue went 3 for 4 with two doubles, six RBIs and two runs scored and Nathan Hernandez went 4 for 4 with four RBIs for the Eagles (8-7, 8-10) in a Mission Valley League game. Chris Cordero pitched six innings, striking out four and Hector Banda went 3 for 4 for Gabrielino. Pomona 11, Garey 3 — David Suarez pitched a complete game and Chris Villalobos went 3 for 4 with three RBIs for the Red Devils (9-9, 4-7) in a Miramonte League contest. Martin Castellanos and John Martinez both went 2 for 4 with a double for Pomona. 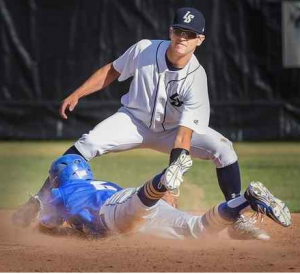 SOUTH HILLS SWEEP: Some early non-league losses and a poor showing in the prestigious Boras Classic knocked some of the mojo from the highly regarded South Hills baseball team, but the Huskies are starting to look the part with the playoffs around the corner. South Hills, ranked No. 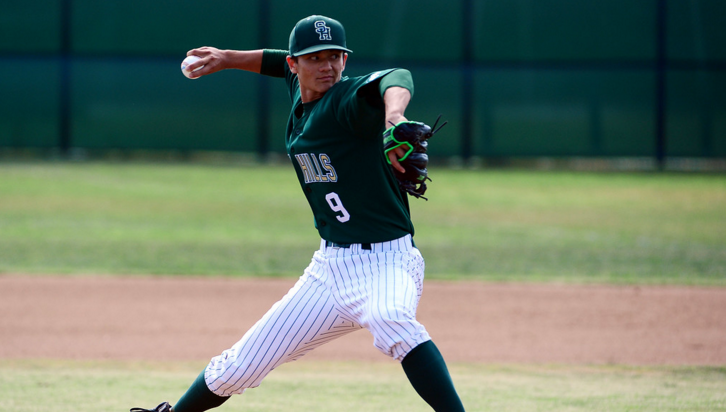 4 in CIF-Southern Section Division 2, completed a three-game sweep of second-ranked Bonita with a 7-1 victory behind pitcher Brandon Dieter, who threw a three-hit complete game and allowed only one hit after the first inning. The victory comes just two days after South Hills’ marathon 7-4 victory in 11 innings at Bonita on Wednesday, and gives the Huskies (17-7, 10-1) a two-game lead over the Bearcats (19-4, 8-3) with four to play. Bonita took a brief 1-0 lead in the first inning after Tommy Delgado led off the game with a double and was eventually singled home by Brandon Bradshaw. But South Hills quickly answered. Johnny Dearth’s double scored Aaron Fong and Jacob Amaya later scored on a close play at the plate on a fielder’s choice, giving the Huskies a 2-1 lead. Bonita didn’t help itself the rest of the way. 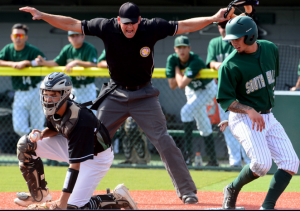 South Hills loaded the bases with two outs in the second and scored when Johnny Dearth’s routine grounder to short was booted, allowing Chris Moya and Fong to score for a 4-1 lead. A near identical situation happened in the sixth. South Hills loaded the bases with two outs and Dieter’s grounder to third was mishandled, allowing Amaya and Dearth to score for a 6-1 lead. “We made some errors, but they hit some balls awfully hard,” Bonita coach John Knott said. “They have a number of good players and they made it tough on us swinging the bats and Dieter was tough around the plate. Credit to South Hills. The top of South Hills’ order, Moya, Fong, Amaya and Dearth accounted for all nine of the Huskies’ hits and runs. Moya was 3-for-4 with a double, Fong was 2-for-4 with two runs, Amaya was 2-for-3 with two runs and Dearth was 2-for-4. And so is South Hills, who is starting to silence the early season doubters. “Better to be good in late April or May than dominant in February,” Murphy said. “There are no rings or titles given out in February. For Knott, the key is not dwelling on what’s been an incredible season. “We’ve had a lot of breaks go our way this year,” Knott said. “We have a good club, there’s no doubt about it. But you find out a lot more about your team after a loss than a win. It’s a lot easier to jump on the bandwagon when you’re winning and things are going your way. La Salle ends Bishop Amat’s undefeated run in Del Rey: There’s a reason why coaches drive into their players that they need to play hard for all 21 outs.On Thursday afternoon, the La Salle High School baseball team found out exactly why that’s true after it rallied for four runs with two outs in the bottom of the seventh inning to stun visiting Bishop Amat, 4-3, at Arcadia County Park. La Salle improved to 14-6 overall and 7-3 in the Del Rey League and ended Amat’s eight-game win streak. The Lancers still maintain a stranglehold on first place in league; 13-11 overall, 7-1.La Salle’s win wasn’t without controversy. With two outs and two on, La Salle’s Ryan Garcia hit a grounder to shortstop. Amat’s Jayson Gonzalez fielded the ball and his throw was a tad offline to first baseman Nick DiFiori, who stretched and fielded it in time for the out. But the umpires ruled DiFiori was pulled off the bag. Los Altos 16, Walnut 1 — Savannah Diederich pitched a no-hitter and had a two-run homer to lead the Conquerors (10-9-1, 5-1) to the Hacienda League victory. Bishop Amat 8, St. Joseph 1 — Alexis Vargas pitched a complete game and improved to 7-0 for the Lancers (18-3, 8-1) in a Del Rey League game. Julia Valenzuela had three RBIs and Karissa Duran had two RBIs for Bishop Amat. St. Paul 4, La Salle 1 — Emilee Leonard was the winning pitcher and had two homers for the Swordsmen (15-8, 6-3) in a Del Rey League win. Chino 4, Charter Oak 3 — Freshman Violet Salazar pitched a complete game and Pearl Barroso hit a home run for the Cowgirls (12-7, 5-1) in a Hacienda League game. Alyssa Gonzalez and Emily Ballesteros both had a double and an RBI and Journey Rojas went 2 for 4 for Chino. Nogales 4, Covina 2 — Peiu Tafisi pitched a complete game and Lisette Rosales had a hit for the Nobles (11-8, 4-2) in a Valle Vista League game. Charter Oak 7, Los Altos 5 — The Chargers (12-8, 9-2) scored three runs in the bottom of the sixth to come back and win in a Hacienda League game. Adam Medrano was the winning pitcher, Jerid Petrick had a triple and Ronnie Parham had two RBIs. Garey 15, Ganesha 3 — Jesse Covarrubias swept in singles to lead the Vikings (17-2-1, 9-0) to win the Miramonte League title. Gabrielino 207, Gladstone 273 — The Eagles (13-1-1, 10-0) had the top five finishers at par-36 Alhambra Golf Course to defeat the Gladiators (2-8) in a Montview League match. Nathan Duong led the way with 36, Michael Lam shot 40, Cyrus Lam shot 43, Ryan Tran and Ryan Cheng both shot 44. South Hills wins in 11 innings: Junior Johnny Dearth of South Hills came up big for his team on Wednesday, in more ways than one.He started Wednesday’s Palomares League showdown for first place against Bonita at first base, but was called on to pitch in the sixth inning, and he had to go nearly five innings. If that weren’t enough, he added a two-run double in the 11th inning for the decisive runs as the Huskies prevailed 7-4 over their biggest league rival. The win puts South Hills (16-7, 9-1) alone in first, although the teams play again on Friday. South Hills, ranked fourth in this week’s CIF Division 2 poll, went ahead 4-2 with three runs in the third, aided by a Bearcats error. There were doubles in the inning by Jacob Amaya, Jacob Dominguez and Quinn Cotter, each driving home a run. South Hills 11, Claremont 1 — The Huskies (15-7, 5-0) compiled 10 hits to defeat the Wolfpack in a Palomares League game. Winning pitcher Natalie Lugo struck out 11 and Melysia Ortega hit a grand slam for South Hills. Edgewood 20, Ganesha 0 — Sammy Alvarado was the winning pitcher and Ciara Granado went 3 for 3 with a homer and five RBIs for the Lions (13-1, 9-0) in a Miramonte League victory. Gabrielino 5, Marshall 4 — Clemente Revilla scored the winning run to lead the Eagles (7-10, 7-7) to the Mission Valley League victory. Rian Lucero pitched six innings, striking out five, Christian LeRue went 2 for 4 with an RBI and Nathan Hernandez went 2 for 3 with a double and two RBIs for Gabrielino. Bassett 8, La Puente 1 — Frank Villanueva was the winning pitcher, striking out six, and had two RBIs for the Olympians (7-9, 6-4) in a Miramonte league game. Matthew Robles went 2 for 4 with a double and two RBIs and Christian Trujillo went 3 for 4 with an RBI for Bassett. Baldwin Park 14, Gladstone 1 — Josue Escamilla went 2 for 2 with four RBIs, Matthew Wells had two hits and three RBIs and Francisco Ruiz had two RBIs for the Braves (7-5, 5-4) in a Montview League win. Garey 11, Pomona 3 — Michael Santana pitched six innings for the Vikings (10-5, 8-1) in a Miramonte League game. Diamond Bar 199, Glendora 206 — Josh Song and Dylan Stone both shot 38 to lead the Brahmas (11-0). who clinched the Palomares League title. 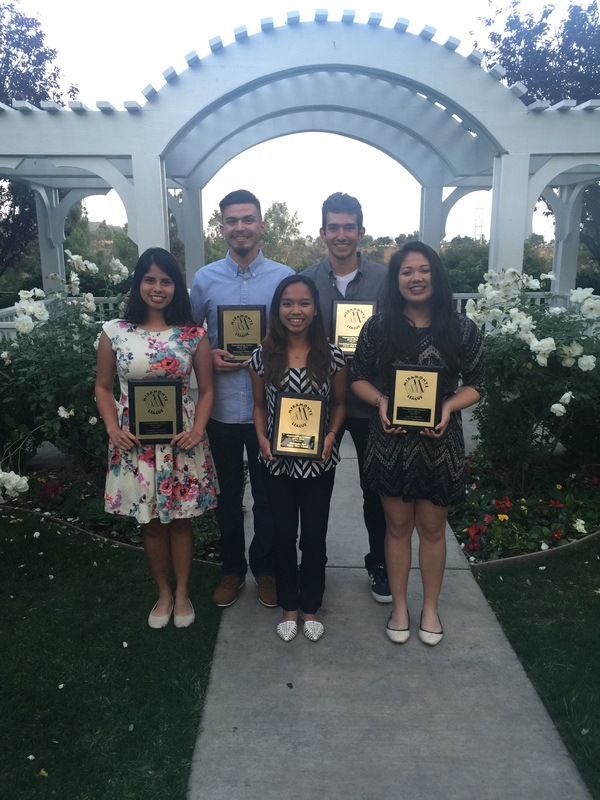 From the left are Karina Aguilar, Baltazar Millan, Jannyda Sre, Guadalupe Soto, and Jan Patrice Bragado.